CDFreaks has reviewed engineering sample Plexeraser PX-OE100E. The PlexEraser is optical media eraser which destroys data on the optical disc using a laser in an environmental friendly manner. It can erase eight types of formats: CD-R/CD-RW/DVD-R/DVD+R/DVD-RW/DVD+RW/DVD-R DL/DVD+R DL. It also destroys both 12cm and 8cm sizes. 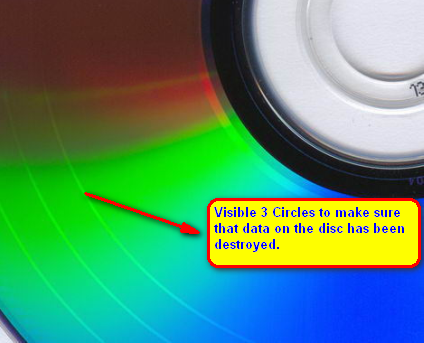 It takes, on average, 3 minutes to destroy CD-R/RW, DVD+R/RW, DVD-R/RW and 6 minutes for dual layer (DVD+R DL, DVD-R DL). 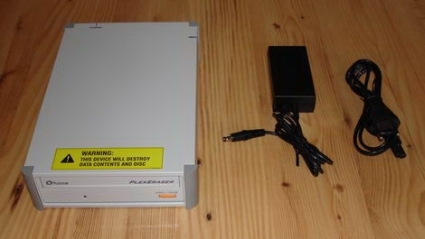 The drive can be used without a computer, all you need to do is connect the power supply to the Plexeraser and you are ready for the CD/DVD destroying mission. 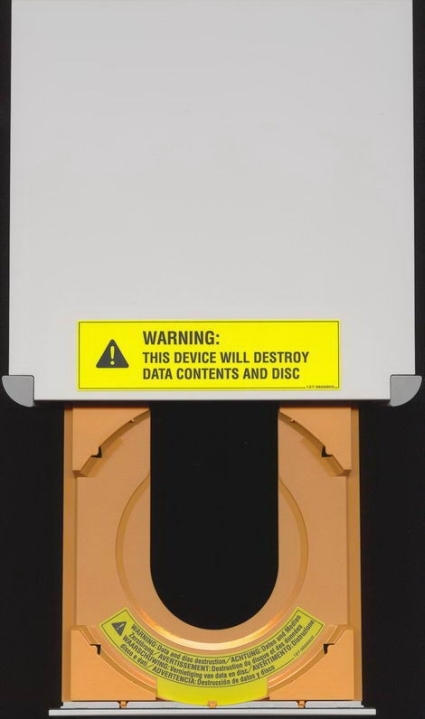 To prevent accidental destruction of the discs the drive features a bright orange tray (good idea otherwise people would end up destroying wrong discs). code with another promotional code or any other offer from Google.